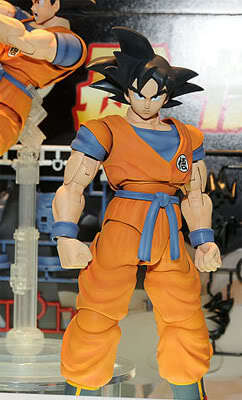 In last week post, I mention that SH Figuarts from Bandai product line is producing Super Saiyan Son Goku. 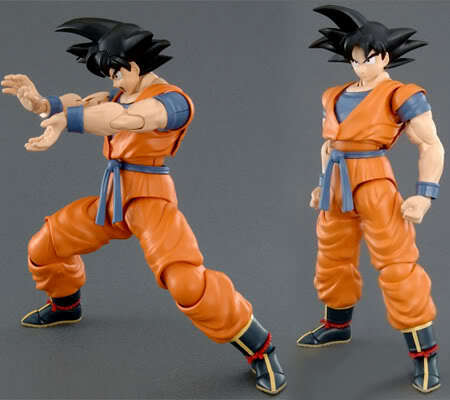 Now Bandai left the normal look Goku to the MG Figurerise line and as a Model kit. The above photo is a prototype of how the model kit will be once you assemble and paint. It was promised to have better articulation with exchangeable facial expression. It would be releasing in December this year. you should not missed out this! As for me, I dare not take this on. So I guess I will stick to SH figuarts for awhile. Plus I still have loads of model kits that I have not done up yet! AGH!!! Actually, if you can assemble Hoi Hoi-tan, you can definitely assemble Goku-san. Haha. Too much toy lines in the current market..Anyway, skip!! The face is definitely well sculpted and the joints are outstandingly great for posing. BTW, OG at Bugis is having sale on DBZ toys. Some selling at only S$6/-. If I can probably I'll paint the hair yellow gold ^^ super saiyan mode!! It looks awesome though.